Glaucoma is the progressive dysfunction and death of retinal ganglia. Once a retinal ganglion cell has died it cannot normally be regenerated. 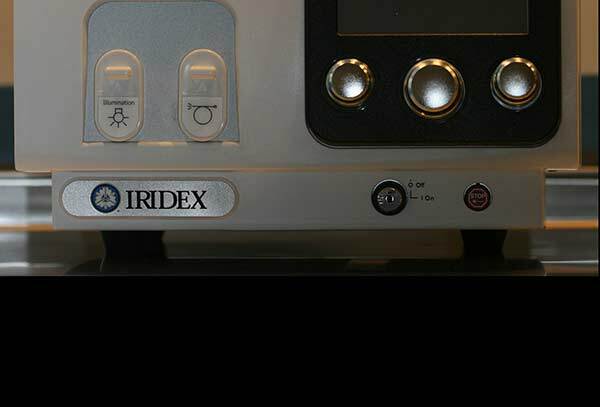 The only-evidence based treatment shown to reduce the risk of progressive ganglion cell loss and blindness is the lowering of intraocular pressure (IOP). When medications do not succeed in lowering IOP, surgical procedures can be performed to reduce aqueous production, or to direct aqueous fluid away from the eye. This article will describe surgical procedures that decrease the progression of ganglion cell death by reducing IOP. All the surgical procedures designed to alleviate canine glaucoma where initially developed for humans. Long-term studies of these surgeries were performed with statistically significant numbers of glaucomic humans and appropriate controls. In dogs, only a few retrospective short-term studies of limited populations (lacking controls) have been published. There is also a fundamental difference in the underlying causes of glaucoma between humans and dogs. Humans typically present open angle glaucoma, whereas dogs typically present closed angle glaucoma. Open angle glaucoma is characterized by incremental rises in IOP, and closed angle glaucoma is distinguished by an acute rise in IOP. Human ganglion cells also have smaller fibers that resist pressure elevations when compared with the large fibers of canine ganglia. The larger fibers of dogs more readily apotose secondary to elevated IOP. The degree of inflammation and fibrosis, secondary to ocular surgical induced trauma, in humans is less than that of dogs. Humans can also directly communicate their visual problems, and/or ocular discomfort typically before more severe complications arise. Veterinarians must wait for an owner to recognize these factors prior to presentation which can delay effective treatment. Typically, by the time of an initial presentation of canine glaucoma, the goal of medical and/or surgical procedures is limited to delaying, but not eliminating, the progression of visual loss and pain. There are two basic strategies to treat glaucoma. The ciliary body can be thought of as a faucet filling a sink (both posterior and anterior chambers) with fluid (aqueous humor) which is lost though a drain (the drainage angle). Lowering the flow from a faucet and/or opening (shunting) the drain will decrease the amount of fluid (pressure) within a sink. Most surgical techniques that lower the faucet flow require a diode laser. The orginal transscleral diode laser was designed to destroy ciliary body epithelia, but it was associated with complications including severe inflammation, post-operative pressure spikes (and possible blindness), retinal detachments, and corneal ulcerations (secondary to trans scleral corneal nerve damage). An endolaser diode was then developed with complications that included severe inflammation, postoperative pressure spikes (with blindness) and cataract formation. Subsequently, a trans scleral micropulse laser (Figure 1) was designed to destroy ciliary epithelia with much less inflammation and postoperative pressure spikes. Trans scleral micropulse lasers quickly necrose ciliary epithelia with less collateral damage caused by the heat associated with the earlier lasers. Complications are generally limited to corneal ulcerations and/or failure to control the intraocular pressures. The trans scleral micropulse laser is most effective in lowering IOP that is slowly increasing over time. However, these lasers are not typically used as the sole therapy following acute spikes in IOP. Turning down the faucet is not very effective in lowering the amount of fluid within a sink with a clogged drain. Valve and/or shunts are used to increase the outflow from eyes with acute (angle closure) IOP spikes. In dogs, these IOP spikes are thought to arise secondary to a pupillary blockage. The subsequent acute entrapment of aqueous fluid behind the iris rapidly increases IOP. 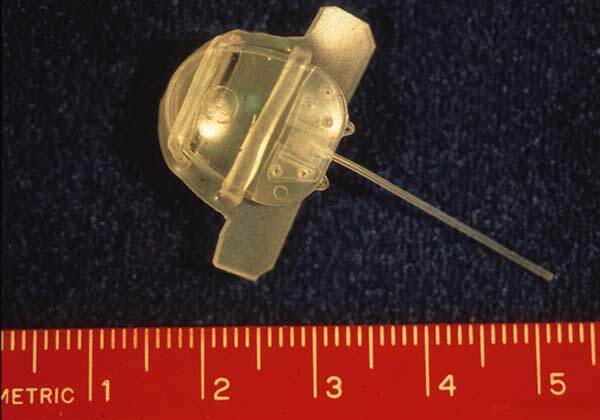 A glaucoma valve (e.g. an Ahmed valve) (Figure 2) can increase drainage from the anterior chamber preventing fluid accumulation behind the iris, which will inhibit further restriction of the drainage angle. However, Ahmed valves eventually decrease their outflow due to associated scarification. The scar tissue can be periodically debulked to open the valve. Ahmed valves can temporarily decrease IOP prior to the more pronounced effect of a laser surgery. Pet owners may be devastated emotionally when they learn of their pets looming loss of vision. Veterinarians must honesty explain both medical and surgical options, their costs, possible complications, and their limitations. Ciliary body epithelia damaged by laser surgery can, and will, eventually regenerate increasing aqueous humor production. Scarification following valved surgical procedures designed to salvage vision are typically not permanent solutions. Ultimately non-visual eyes associated with pain should therefore be removed, replaced with a prosthetic eye, and/or subjected to gentocin (gentamicin) injections. In all cases of primary glaucoma, prophylactic treatment of the contralateral visual eye with anti-glaucomic medications is warranted to preserve any remaining vision by delaying the onset of pressure increases. If you have further questions concerning canine glaucoma surgery, please feel free to consult with a veterinary ophthalmologist.